Food has brought me to a student hostel at Short Street. If the name sounds unfamiliar, the building painted in grey with big white fonts is near Selegie, diagonally across the famous Rochor Beancurd. Ample carparking space is available. 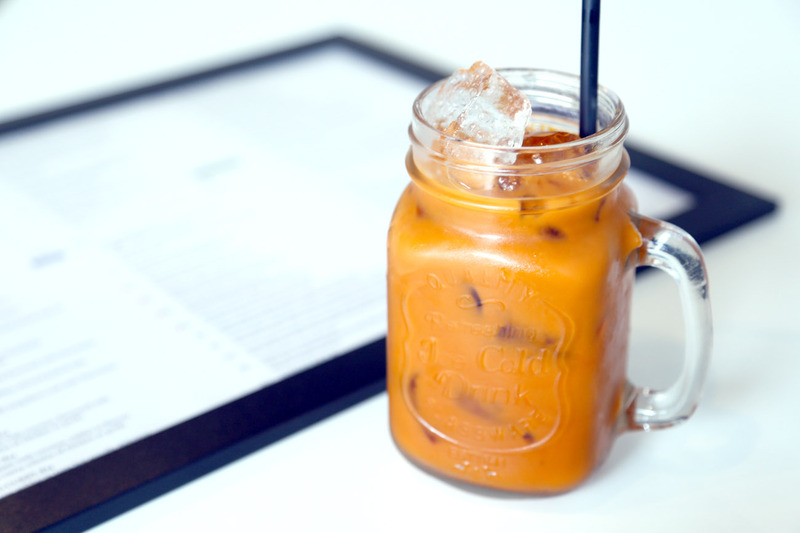 Sixty6 is the first F&B outlet opened there, an under-the-radar Thai restaurant. Its location is strategic though – close proximity to schools such as Singapore Management University, LaSalle College of the Arts, Nanyang Academy of Fine Arts, School of the Arts Singapore, as well as Kaplan. I went back on my own again, sometimes having a penchant for new outlets with no business. It’s an I-should-help-them feel. The food turned out to be better than expected. The recommended dishes were Thai Fish Cakes ($10 for 5 pieces), Som Tam ($8), Yam Woon Sen ($10), Tom Yam Seafood Soup ($15), Green Curry ($14), Panang Curry ($14), Tom Yam Fried Rice ($6), Green Curry Fried Rice ($6), Pad Krapow Special ($16) and Tom Yam Noodle Soup ($6). Prices are friendly, like a Pad Thai cost only $6. No GST and service charge. When owner Guangxi brought out a metal scoop (reminiscent to those I use to get water for bathing LOL), I was slightly caught unaware and laughed. It turned out to be the container for the Tom Yum Soup and Green Curry, indicative of generous portions. 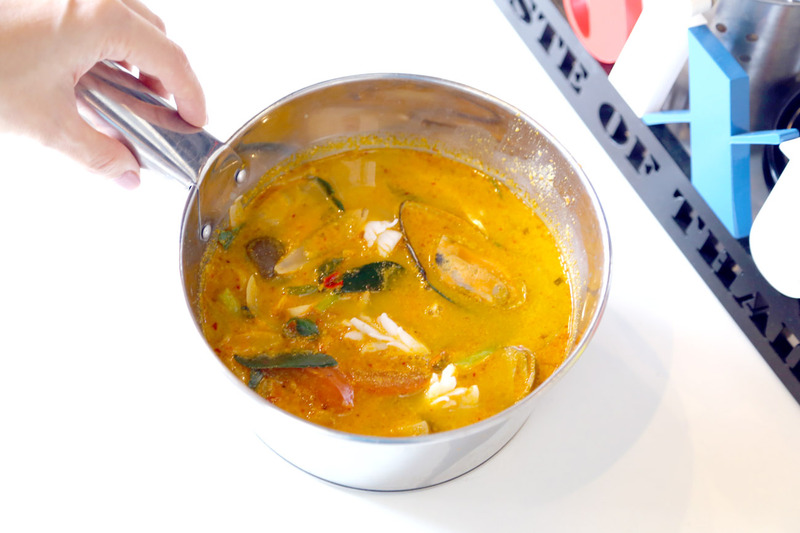 The Tom Yum was the type I liked – red, spicy, sour, flavoured with much Thai herbs, filled with ingredients from prawns to mussels. Great for sharing. 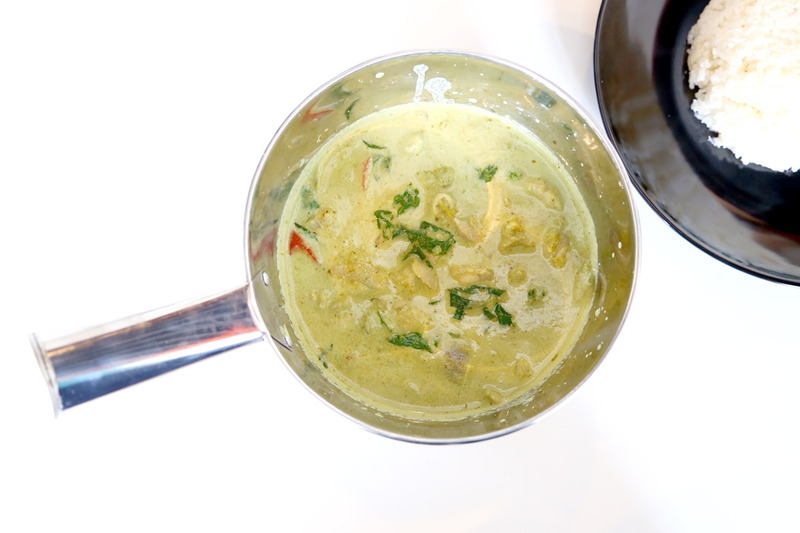 While the Green Curry was slightly to the sweet side, the coconuty-thickness and robustness kept us scooping for more. 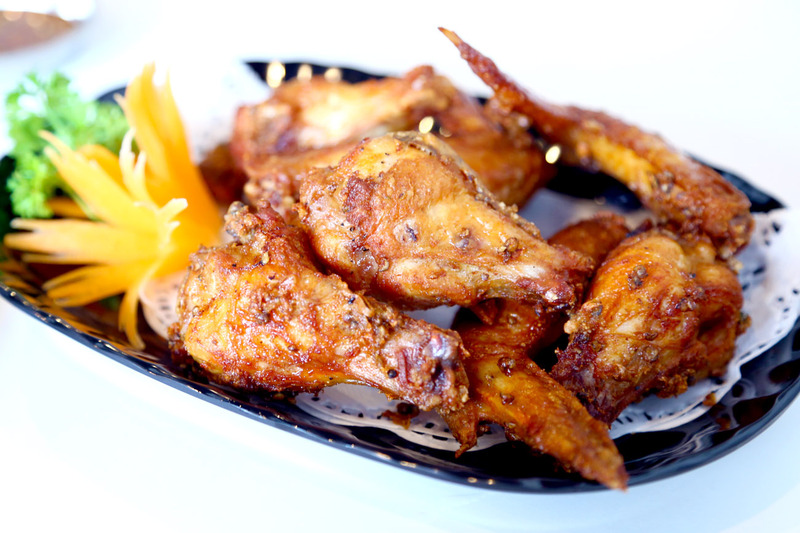 Special mention of the Deep Fried Chicken Wings ($10 for 4), well marinated and juicy, covered with a hint of black pepper for a faint kick on every bite. 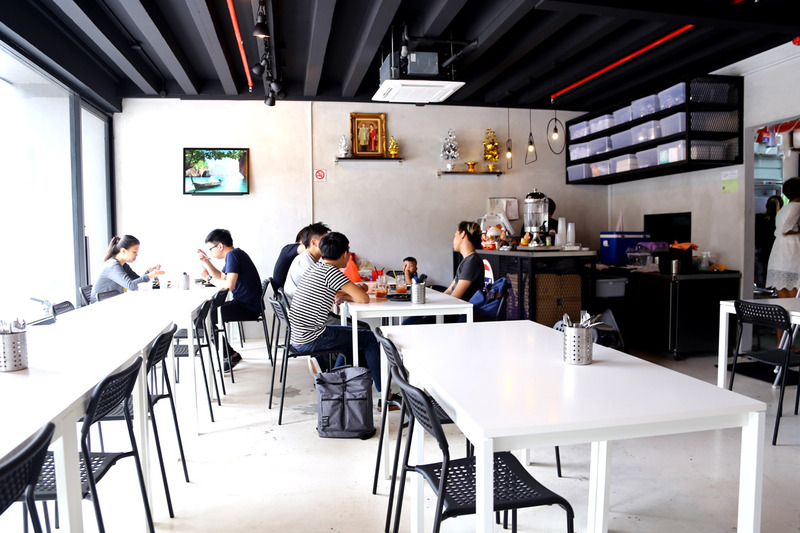 Sixty6 seems to deliver some affordable and humble Thai dishes at a convenient location. Though as a new outfit, it really needs to get its name out there. I gave them some tips before I left – update Facebook, include a telephone number and email for contact, some basics which would help customers reach out to them. Hey Daniel. Just checked the store at 12 today (1/11/15) and it was closed. Any idea if they are still operating?